I've been using the Sarah Chapman Skinesis Rapid Radiance Cleanse now for over a month now so I thought I would share my thoughts. 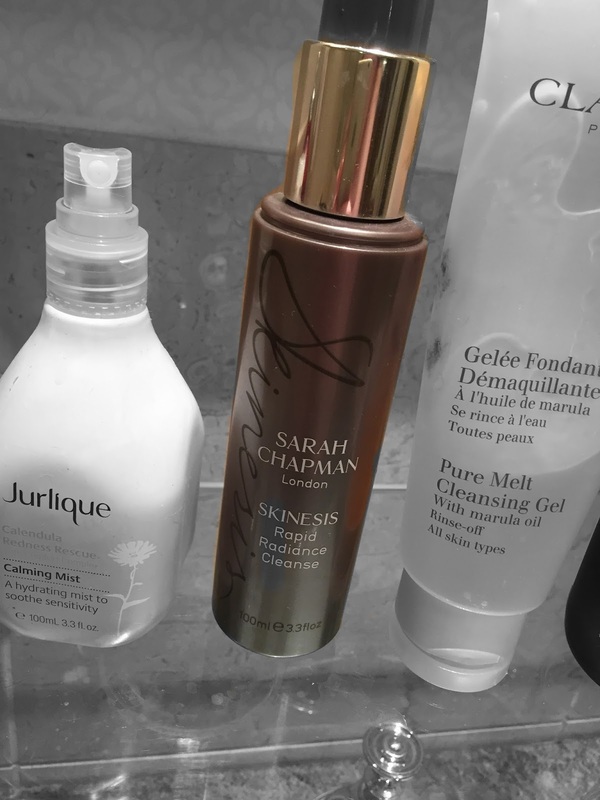 There are currently two Sarah Chapman products in my skincare routine-this cleanser in my morning routine and the Overnight Facial in my evening routine. 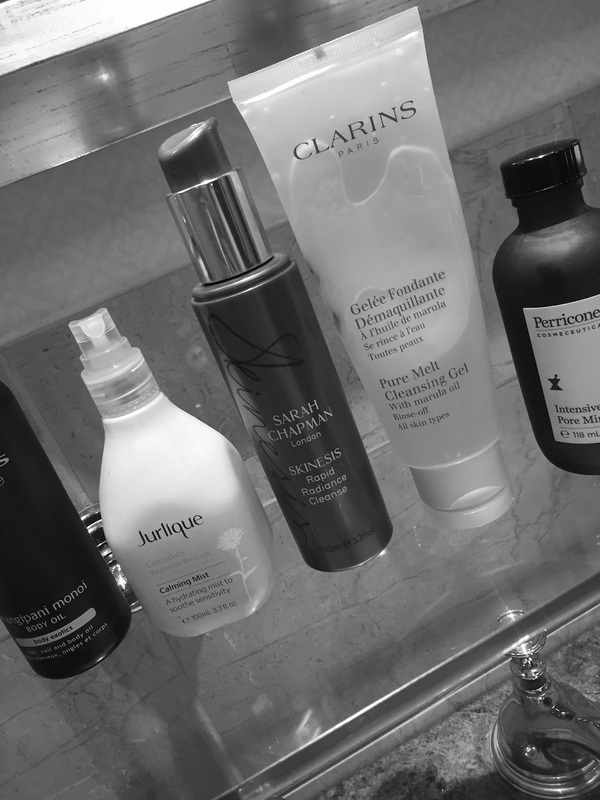 I've been using the cleanser as my morning cleanse in the shower-I apply to dry skin, massage in and then rinse clean. It has a clay base but feels very light on the skin when massaged in and seems to 'absorb' into the skin as you massage. It rinses clean without a flannel leaving no residue. This formula contains Vitamin C, lactic and salicylic acid to help to unclog and detoxify pores and contains neroli, bergamot, geranium and petitgrain essential oils to add radiance to the skin. I feel like my skin has been consistently more well behaved whilst I have been using this cleanser along with all the other skincare I am currently using plus the fish oil I am taking. It is also recommended to use this cleanser as a 2 minute brightening mask which I do probably twice a week. The one downside seems to be that I feel like I have to use a lot each morning-I use about 8 pumps each day as the dispenser only dispenses a tiny amount. But unless I use this much I don't feel I have enough product to thoroughly cleanse my face. This is definitely a morning cleanser-it isn't heavy duty enough to remove make up and it's ingredients are designed to treat the skin rather than clean the skin. I would repurchase this cleanser though-my skin seems to be benefiting from the gentle clay base and the cocktail of acids and vitamins. The fuss free application in the morning is a plus too given that I normally stumble into the shower half asleep every morning! I purchased mine from Space NK where it retails for £29. Have you any Sarah Chapman recommendations?